Pairing traditional French Country furniture with period style soft furnishings, relaxing, soft pastel shades and the occasional strategically placed flourish creates the perfect, undoubtedly feminine, ‘tres chic’ style French Country bedroom. A style which is both elegant and comforting at the same time, those looking for a bedroom décor idea which will create the perfect soothing and restful sanctuary will not be disappointed when choosing the French Country style. Perfectly blending the old and the new with a distinctive air of balance and harmony, this style of décor reflects centuries’ worth of French design history to create a design that although simple, is not lacking in luxury or comfort. 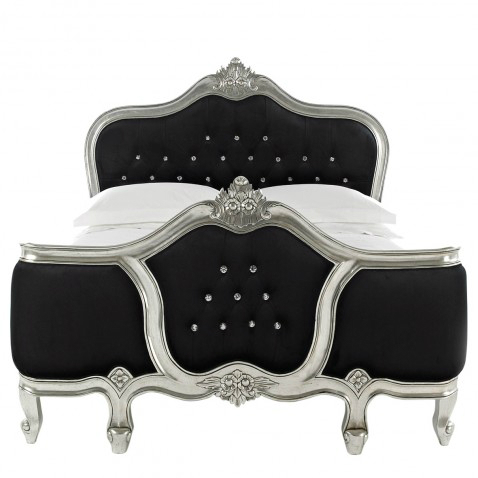 The French Country bed takes centre stage in your bedroom, with the room being built around it as a key feature. 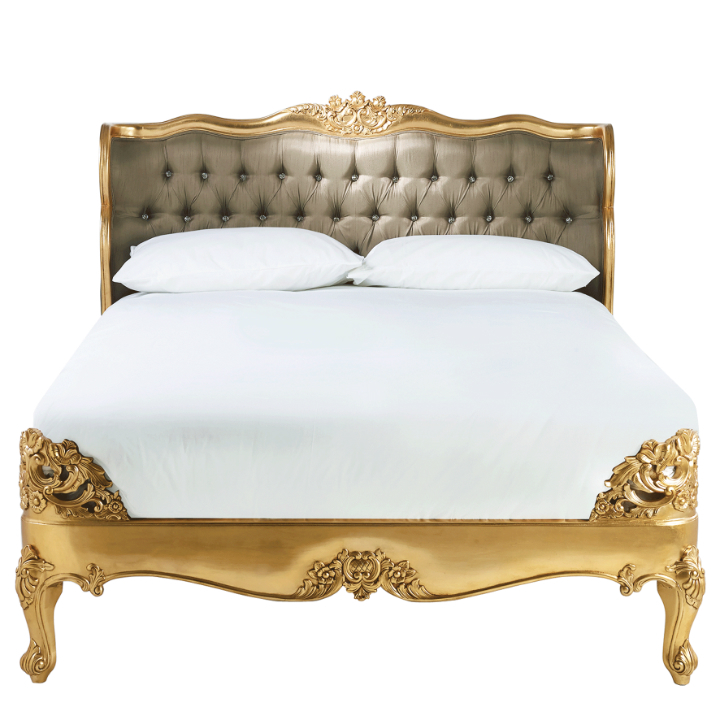 Whether you opt for a design which is ornate, rustic or a little plainer, the French Country design is all about the bed and making it stand out. Your bed should be the first thing that you notice when you walk into the room – after all, it is your bedroom! 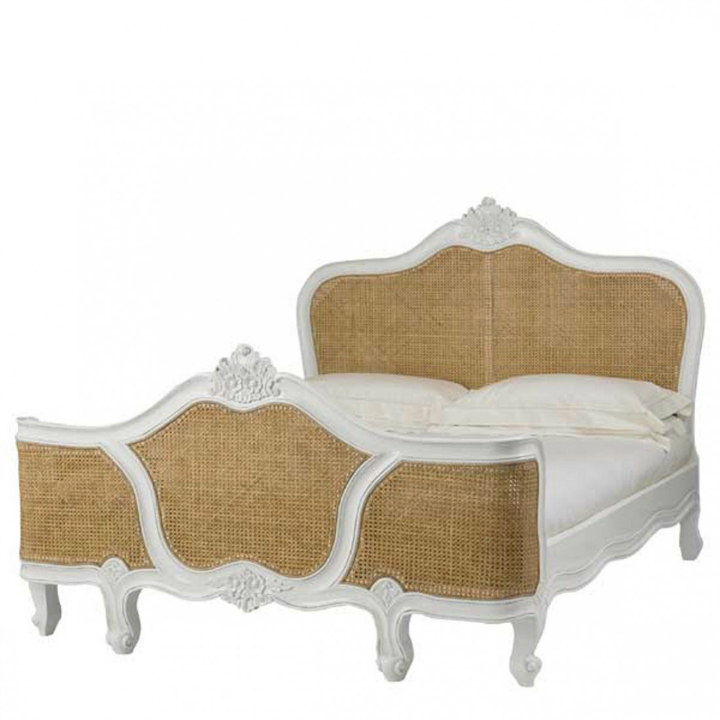 For true French Country style, look for an antique-style bed which features fine carving and an immaculate sense of style, such as these gorgeous beds from Newtons Furniture. 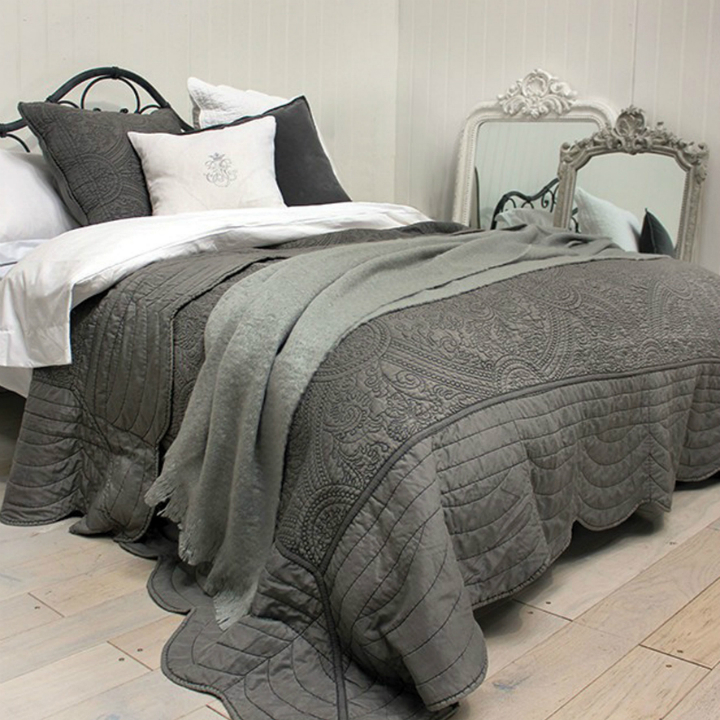 Layering your bedding is key to mastering the perfect French Country bedroom. Start from the bottom up with a crisp white sheet, add a soft duvet and then use cushions, throws and other accessories to make sure that your bed is dressed to impress. When it comes to choosing bedding, luxury items are a must – choose natural fibres, as your bed is meant to be just as comfortable as it is beautiful. For bedroom accessories, you should remember that although the bed is the leading lady in this show, any other furniture items in your room should be consistent with the overall décor. The French Country style has a certain air of being ‘gathered over time’, therefore choosing antique-style items such as wardrobes, a dresser, and bedside cabinet is essential to complete your perfect French Country-inspired dwelling. The French Country colour palette is one that features both soft pastel shades through to dramatic statement hues, ranging from barely-there blush pinks and soft yellows to cornflower blues and standout dark red or even black, paired with an off white shade. When choosing your colour palette, you can be as versatile as you like in order to make sure that your room is painted in the colour or colours that you love the most. However, keep in mind that the French Country style is never over-the- top when it comes to colours, so limit your selections to just one or two. Subtle use of paint effects to create an aged, chalky finish is ideal for a French Country bedroom, and can be achieved easily by using a sponge to layer and blend colours. Now you are finished with the main components of your French Country room, it’s time to accessorise with soft lighting, antique ornaments, and plush fabrics.